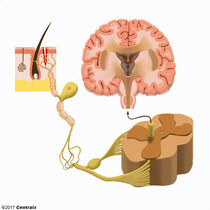 Peripheral receptors for pain. 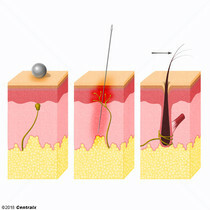 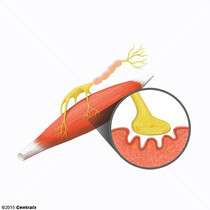 Nociceptors include receptors which are sensitive to painful mechanical stimuli, extreme heat or cold, and chemical stimuli. 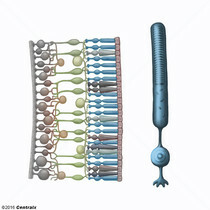 All nociceptors are free nerve endings. 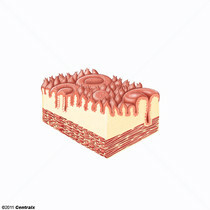 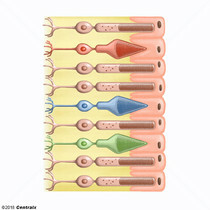 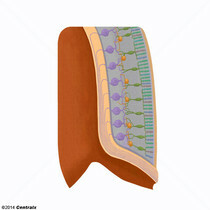 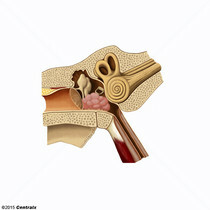 A small cluster of chemoreceptive and supporting cells located near the bifurcation of the internal carotid artery. 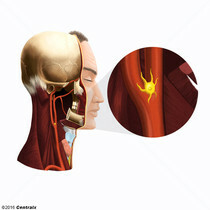 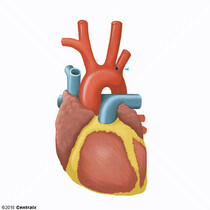 The carotid body, which is richly supplied with fenestrated capillaries, senses the pH, carbon dioxide, and oxygen concentrations in the blood and plays a crucial role in their homeostatic control. 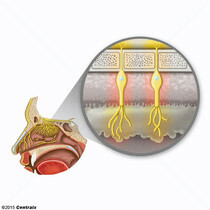 A highly vascular ovoid body of chemoreceptive tissue lying adjacent to the TYMPANIC CAVITY. 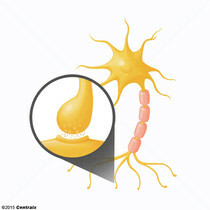 It is derived from NEURAL CREST tissue and is considered part of the diffuse neuroendocrine system. 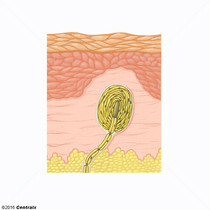 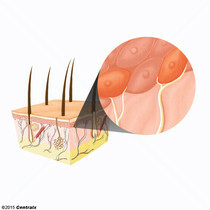 It is the site of a rare neoplasm called a GLOMUS TYMPANICUM TUMOR.